Gorgeous tones. Very interesting shot. 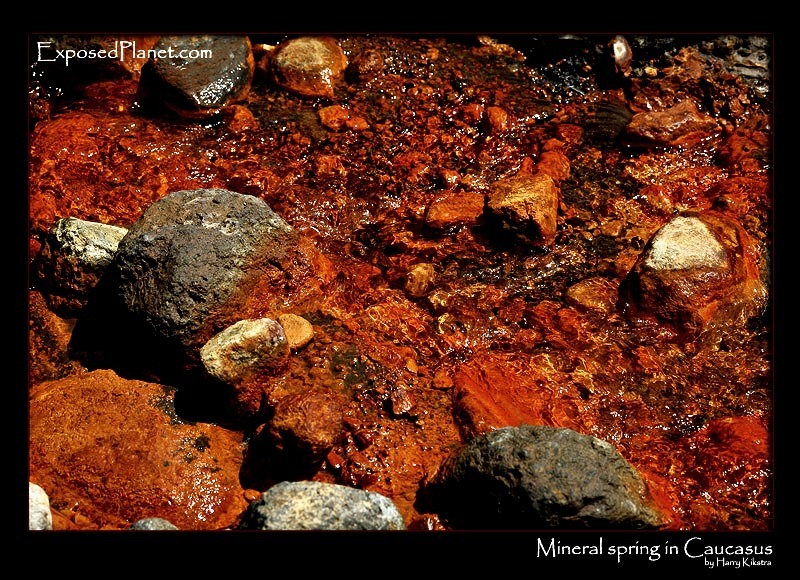 The story behind "Mineral springwater, Russia"
The foothills of the Caucasus are home of many mineral springs. There was one silverspring close to BaseCamp of Elbrus, but most were filled with iron-saturated and lightly carbonated water, like this one. The red colour is the iron that is a natural part of the water. It gives a strong taste, but the locals like to bathe in it as they believe it is very good for the skin and life in general. So of course we followed their example!